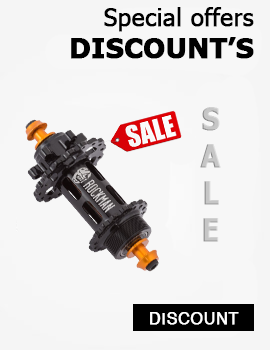 Here you can find our offer of a complete 20" trial bikes from CLEAN TRIALS, CREWKERZ, SCORPIO and ROCKMAN BIKES. If you don't want to bulid the bike from components this is the easiest way for you, where all components fit perfectly! If you don't like the components on the bike we can do some updates for you, just sent us email and we will do our best.